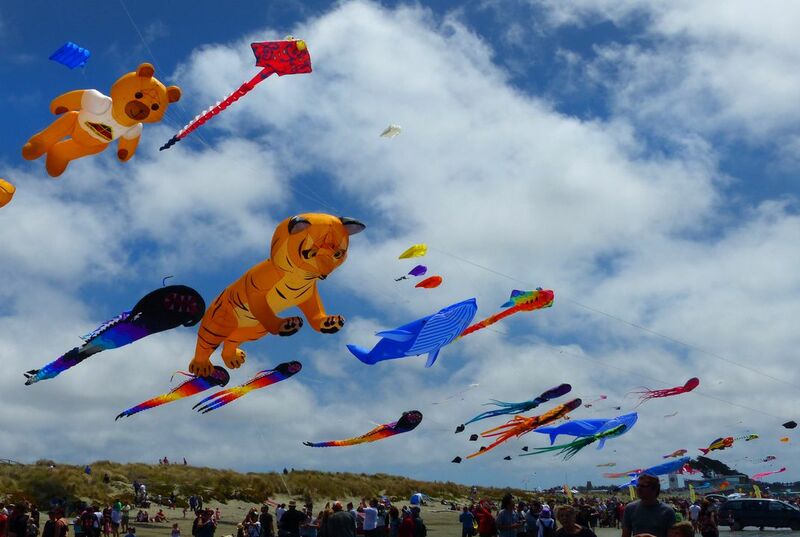 When was the last time you flew a kite? What did your kite look like? Some people think flying kites is fun. Others find trying to fly kites to be quite frustrating. What word would you use to describe this experience? Why? As the article pointed out, the purpose and history of kite flying varies around the world. Which example in the article would you like to learn more about? Why? In the article, Richard Dermer compares stunt kite competitions to ice skating and gymnastics. Do you think this is a good comparison? Why or why not? The lessons in this issue of From Art to Zoo, which are geared toward elementary and middle school students, introduce kites and kiting into the classroom. Students learn the history of kites, write kite poems and stories and build kites of their own. In this teacher-created lesson from the Cooper-Hewitt, Smithsonian Design Museum, high school students use everyday materials to design and build a kite—one that is based on their research into kites through history. After testing the kite, they “go back to the drawing board” to improve their designs. Did you know that the first aeronautical object in the National Air and Space Museum’s collection was a kite acquired in 1876? Watch this Smithsonian video to learn how kites fly and about their importance to aviation history. Paul Garber, aviation enthusiast and skillful kite- and model-maker, is a legend around the National Air and Space Museum. Read this article from the museum to learn why. What makes an airplane fly? How does a spacecraft stay in orbit? Why does a balloon float in the air? Invite students to explore this exhibit from the National Air and Space Museum to find out. If researchers were to figure out how to harness the power of ocean currents, there is ample energy to be had there. Read this Smithsonian magazine article to learn how kites may be able to help.